The public battle between Warner Bros. and The Weinstein Company over The Butler has ended, finally avoiding a scenario where a movie in which Robin Williams plays Dwight D. Eisenhower is overshadowed by any distracting silliness. Entertainment Weekly reports that an MPAA appeals board has confirmed a recent ruling that says TWC cannot use the name The Butler under its Title Registration Bureau, after Warner Bros. complained it might create confusion with its 1916 short The Butler—particularly among fans of the latter, who are already so confused by light switches and women in Congress. 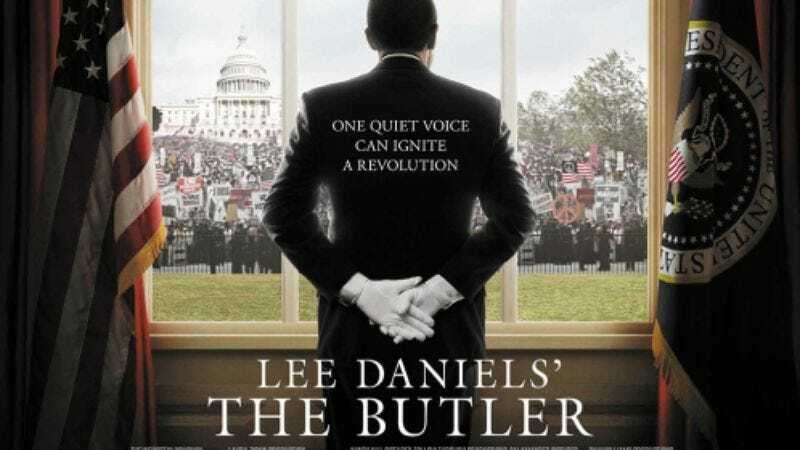 As a result, it will now be known as Lee Daniels’ The Butler, instead of all those things the Internet came up with. And so it is that it will be rescued from having the sort of ugly melodrama so unbecoming of a Lee Daniels film. While Harvey Weinstein had previously suggested that a claim of “consumer confusion” with a 1916 silent film may be slightly disingenuous—saying it was masking Warner Bros.’ actual “bullying tactic” of getting him to relinquish rights to The Hobbit—he gladly accepted an end to the title fight, even after being penalized $400,000 in total fines for each day he continued to use the name. Indeed, he sees it as “a victory” that the film is still able to use the word “butler” at all, no doubt especially after all these weeks people have spent talking about The Butler. Just remember that, from now on, there are butlers and then there is Lee Daniels’ The Butler, and to factor this in when solving your next murder-mystery.